With the illegal wildlife trade escalating at an unprecedented rate, ZSL expert Paul De Ornellas shares the latest facts on the crisis – and explains how we are fighting back. Consumer demand for animal meat and body parts or exotic pets has made the illegal wildlife trade the fourth-largest organised crime in the world, not far behind drugs, counterfeiting and people trafficking. The trade is estimated to be worth more than £15bn a year, poaching gangs are using increasingly sophisticated methods – including high-powered weaponry, night-vision goggles and even helicopters – to carry out their crimes. But last year’s CITES congress (the key global gathering of parties to the Convention on International Trade in Endangered Species) saw countries unanimously pledge to end ivory trafficking and close all domestic markets. China, the world’s biggest market for ivory, has promised to end the trade by the end of 2017. And in October 2017, the UK Government announced its plans to ban the sale of ivory to help to combat poaching. More than 7,000 different species worldwide have been targeted, according to the United Nations Office on Drugs and Crime. In the bird world, for example, the helmeted hornbill has been hunted almost to extinction for the hard casque on top of its beak (known as ‘red ivory’), so we were delighted to see its protection strengthened at the latest CITES congress. ZSL is also championing another often-overlooked group of animals: eels. With the European eel now Critically Endangered – in part to meet Asian demand for eel meat – all EU trade in the species was banned in 2010. However, traders are now targeting eels elsewhere. We are monitoring this species in the Thames, as well as promoting better protection for other members of its family, the anguillid eels, globally. Some of the most sought-after black market products for the Asian medicine trade, including rhino horn and pangolin scales, are made from keratin – exactly the same material as human fingernails. ZSL was delighted to see all international trade in pangolins outlawed at the CITES congress. Another highlight came in February, when the Cameroon government, aided by ZSL and other NGOs, burned three tonnes of pangolin scales seized from traffickers – a powerful condemnation of the trade. We are working in Thailand and Cameroon to monitor pangolin numbers and strengthen protection on the ground. If we are going to save rhinos we need a coordinated, global response – and ZSL and its allies are leading the way. The brutal killing of a white rhino by poachers who broke into a French zoo in March underlined the urgency of the worldwide threat to these magnificent animals. Rhino horn is used in Asian medicine, and all five rhino species in Asia and Africa are at risk. As well as working to strengthen protection on the ground in key rhino habitats, ZSL and partners are currently developing ground-breaking new ways to fund wildlife reserves, where investment is driven by results. The illegal pet trade is threatening some of the planet’s most vulnerable species. Each year, an estimated 300 cheetahs are smuggled from Africa to the Arabian Peninsula to meet demand for exotic pets. The perilous journey kills up to 70% of cubs en route. With only 7,000 cheetahs thought to remain in the wild, ZSL has played a leading role in bringing their plight to global attention, and helped secure stronger action at CITES. We need high-tech solutions to tackle it, and ZSL has been training and empowering wildlife rangers in key habitats in Africa and Asia. 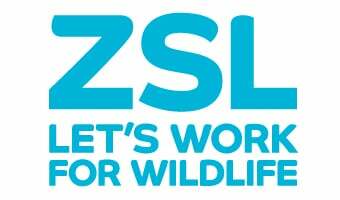 The SMART software developed by ZSL and partners is helping rangers to monitor species and track poaching on their turf. We are also busy road-testing our latest Instant Detect satellite cameras – an alarm system for reserves. At least 595 rangers around the world died in the line of duty between 2009 and 2016, many murdered by armed poachers. As well as empowering rangers in the field, ZSL and its allies in the United for Wildlife coalition are recognising their dedication and hard work. From the theft of antique rhino horn from museums, to the trading of ivory on eBay, it happens right here in the UK, too. The police’s National Wildlife Crime Unit reports that poaching is the most common crime it tackles, but its other priorities include bat, badger and raptor persecution, illegal pearl mussel harvesting and trade in wildlife products banned under CITES. The UK Border Force has a team at Heathrow Airport to seize illegal animals and wildlife products, and ZSL has provided a refuge for some of these (including 950 Indonesian fish and coral in just one 2006 seizure).